Google, a search engine launched in 1997 by two Stanford students: Larry Page and Sergy Brin. For two years, these students had worked on an advanced method for finding information on the Internet. Since the creation of Google, the company is already worth $ 400 billion! This makes Google one of the most valuable brands in the world. Google has also developed much further than just a search engine. Today you can navigate, mail, watch videos, upload your own videos, read the news, translate other languages and much more. Google is with 3.5 billion searches a day, the most popular search engine in the world. We’ve collected the 10 most interesting and funny facts about Google! Google has the largest index of websites in the world. Google has a index with more than 3 billion websites. When this index would be printed, you’d get a 130 miles high stack of paper. Google searches through all these websites in less than half a second. This also shows the importance of SEO, you’re audience will have too find you’re website between this large index of sites. The original name of Google was Backrub. Later, the company wanted to change their name, that’s how the name:Google was born. After all, Google is a misspelling of the word: Googel, the mathematical term for a one with hundred zeros. This name would reflect the company’s mission to make all information accessible too the world. That worked out pretty well, don’t you think? The Google search technology is called PageRank. PageRank assigns a value of relevance to every website and determines how important a website is. PageRank is named after the co-founder of Google: Larry Page. SEO ensures you that your website will be considered as important by Google. If you’re website is considered (more) important by Google, you’re website will be higher in the rankings. Nobody on the outside knows exactly how PageRank works, which makes it quite hard to manipulate this system. This is probably the key to success, because this makes that you’ll always get the best results for you! On August 16, 2013, Google was not reachable for 5 minutes, in that time the global Internet usage was decreased by 40%. This fact shows how important Google is today. When people can not search for the website that they are looking for, people make less use of the internet. Google wanted in 1997 to sell their search engine system to Yahoo for $ 2 million. Yahoo didn’t accept this offer. Later, Yahoo wanted to come back to this offer and offered 3 billion in 2002. This time Google didn’t accept the offer. Today Yahoo is much less valuable as Google. I bet they feel pretty stupid right now! The first tweet from Google was: “I’m feeling lucky” in binary code. Today, Google has 12.2 million followers on Twitter. If you want to stay up-to-date of all the developments in the search engine, you should follow them! 16% to 20% of all searches have never been searched before on Google. This means that Google gets millions of searches every day that have never been done before. SEO systems have to keep themselves informed of these new developments in order to remain up-to-date. The Google homepage is available in 80 languages. Because Google offers its search engine in many languages, Google is used around the world. Google translate is also available in all these 80 languages. The last nine languages that have been added are: Hausa, Igbo, Yoruba, Somali, Zulu, Mongolian, Nepali, Punjabi, and Maori. In 2014 was 89% of Google’s revenue from Google advertising. Google currently earns the most out of SEA (Search Engine Advertising), companies can pay to stand at the top of the search results in the advertising section. SEO will get you higher in the organic results of Google. Research has shown that search engine users go rather to websites at the top of the organic results. It is therefore increasingly important that websites are well represented by smartphones. This year on April 21st Google officially introduced their new algorithm that measured mobile usability, which means that if you think about the smartphone usability, you’ll be higher in the Google rankings. 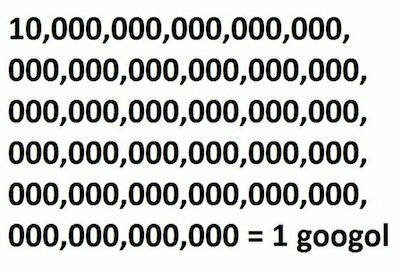 Googol is a very large number. Its a 1 with 100 zero’s. Google has a market share of about 90% when it comes to search engines (Jan 2017) . You can find more statistics here. Google uses foo.bar to recruit new staff. If a programmer of, for example, ‘Python’ looks up a programming term, Google may invite this person to apply. There is a ‘mirror’ version of Google. May sound like a funny and useless add-on but it was actually very useful in circumventing the Great Firewall of China that Google had banned. Google has a very large share of the daily lives of many people around the world. The search engine is also increasingly being used to make online purchases. It is therefore well worth the effort to look deeper into SEO! Want to get a quick start with SEO? Take a look at our free trial account of webtexttool or read about the best SEO whitepapers! 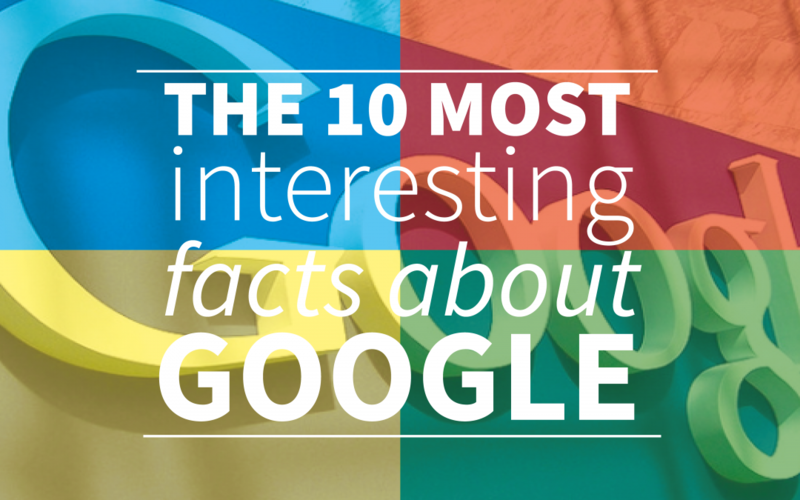 We hope you’ve enjoyed our list of interesting and funny facts about Google.